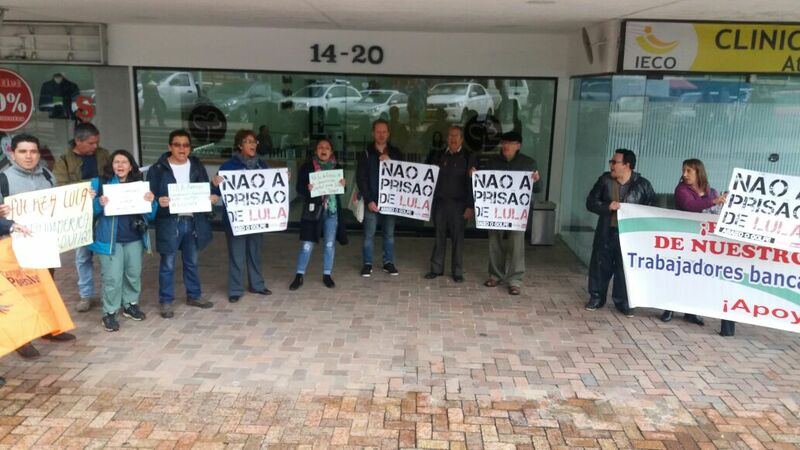 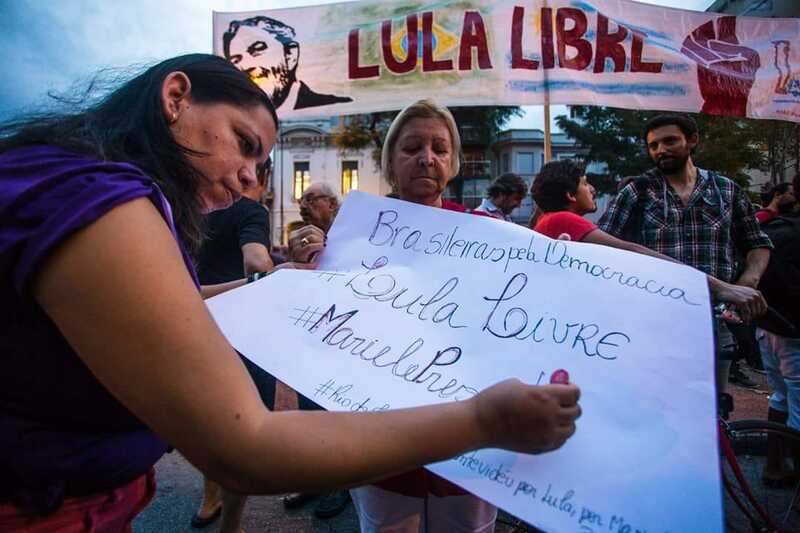 Demonstrators protested yesterday (11) in front of Brazilian embassies and consulates, in squares, and on streets around the world to denounce the political persecution of Brazilian ex-president Luiz Inácio Lula da Silva by the country's court system and to call for his freedom. 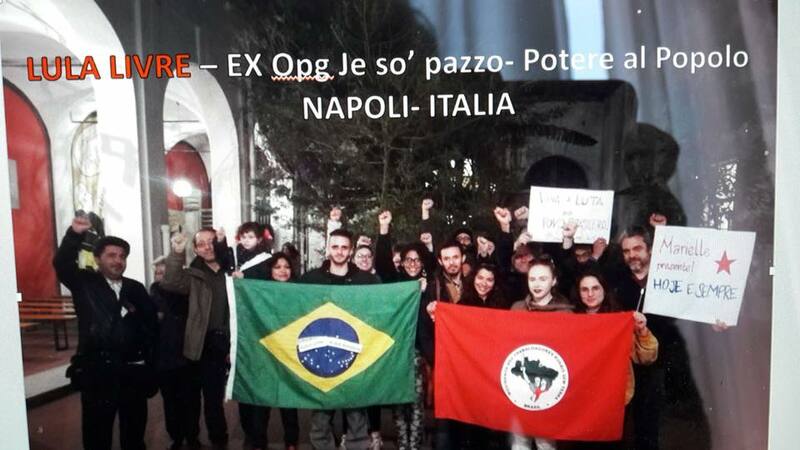 Ravenna (Italy), The Hague (The Netherlands), Brussels (Belgium), London (United Kingdom), Montevideo (Uruguay), Oslo (Norway), Stockholm (Sweden), Barcelona (Spain), San Salvador (El Salvador), Bridgetown (Barbados), Santiago (Chile), Panama City (Panama), Bogotá (Colombia), Washington DC (USA), Lisbon (Portugal), Buenos Aires (Argentina), and Caracas (Venezuela) are some of the locations where people took to the streets to protest against Lula's arrest. 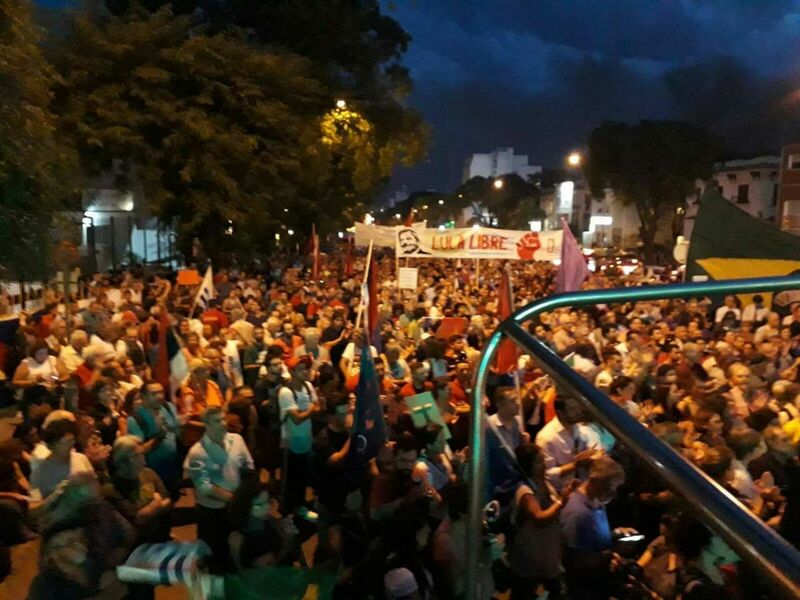 In Lima, capital of Peru, where the Peoples’ Summit of the Americas is taking place, there was a big demonstration of solidarity. 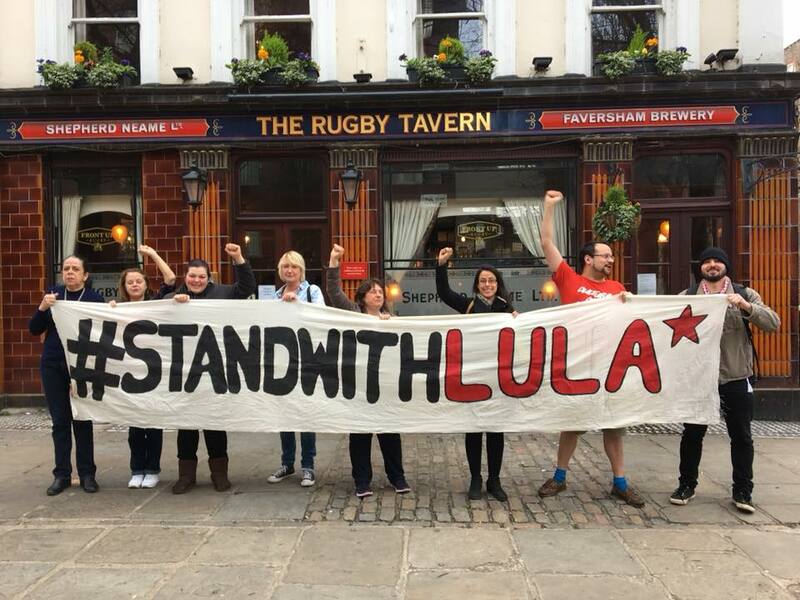 "Former president Lula represents an international consensus that few issues can achieve — and it goes far beyond the left wing. 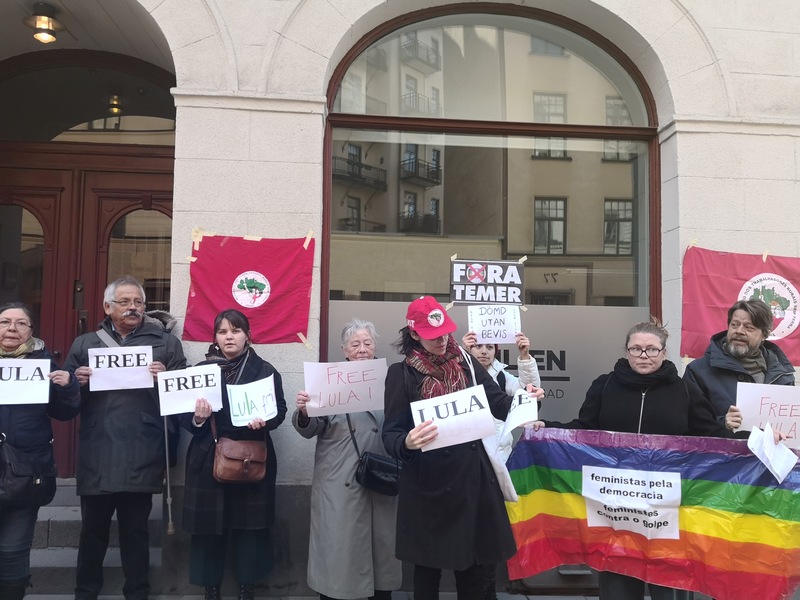 Because of his social policies and leadership, he is internationally renowned and his arrest has generated an instant solidarity response everywhere. 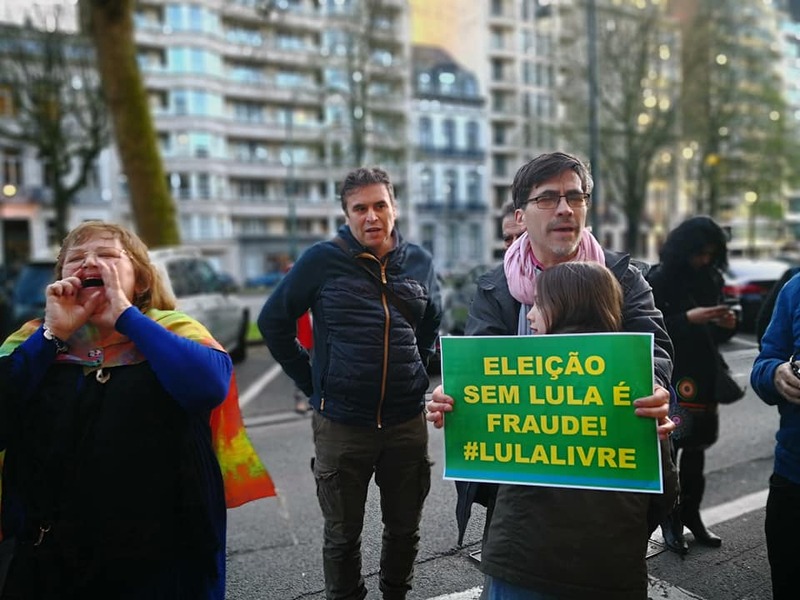 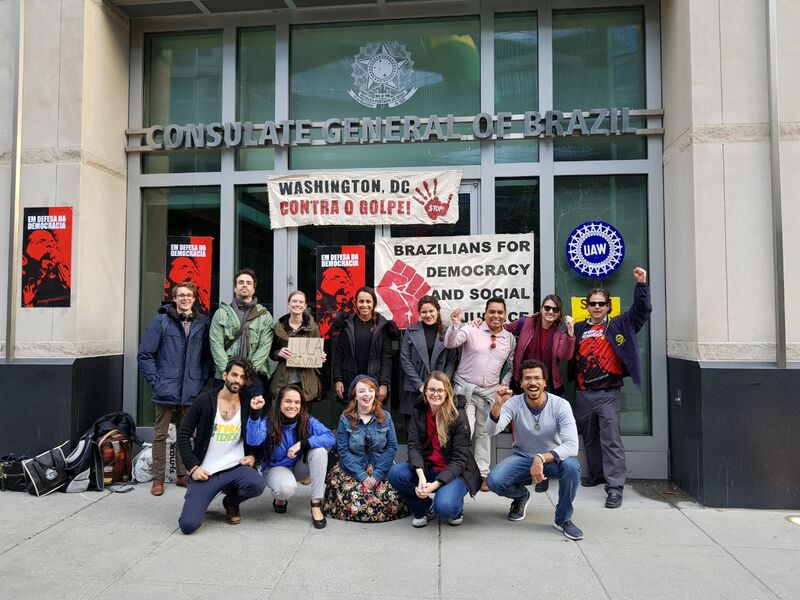 Despite what the Brazilian mainstream media tries to convey, what we see with his conviction is the decadence of both the Brazilian court system and the Brazilian democracy, which is under the rule of an illegitimate government," said Gonzalo Armúa, a member of ALBA Movements and the People’s Movement Patria Grande (Argentina), from Lima, where he participated in the pro-Lula demonstration yesterday. 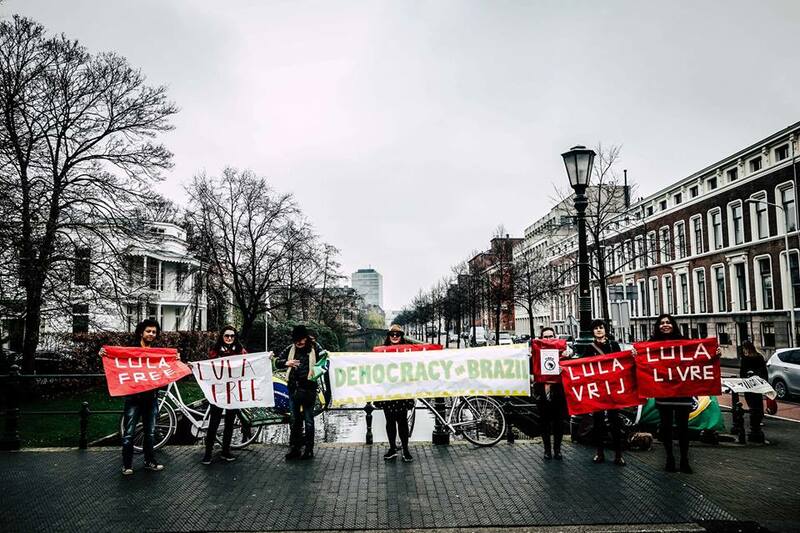 Similar protests took place last Tuesday (10) in New York (USA), Amsterdam (The Netherlands), Dublin (Ireland), and Madrid (Spain). 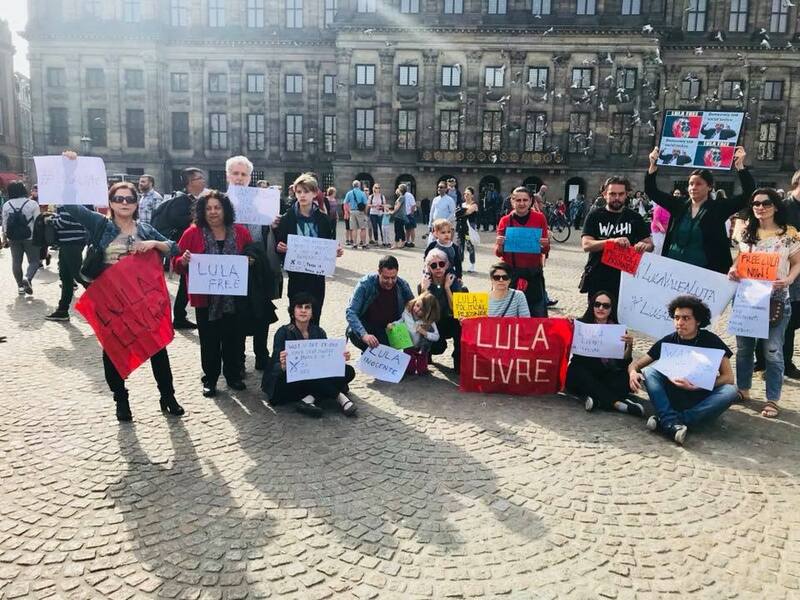 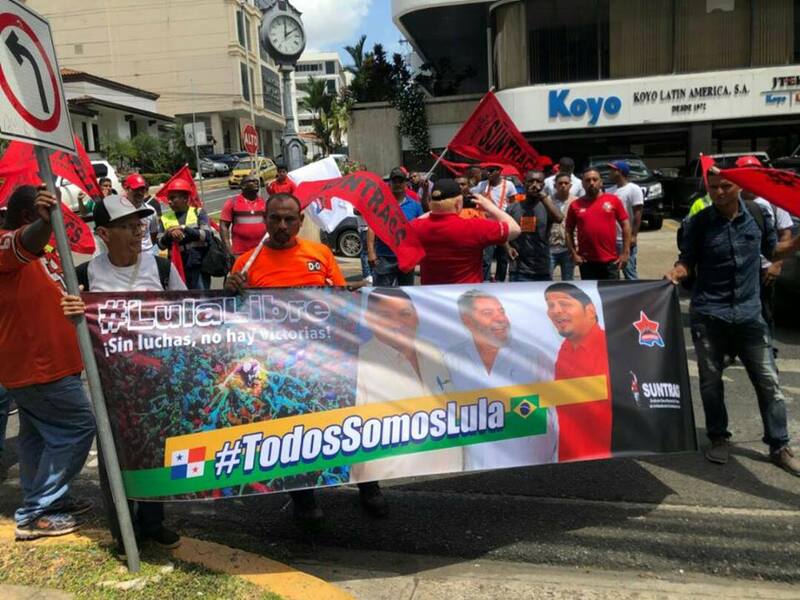 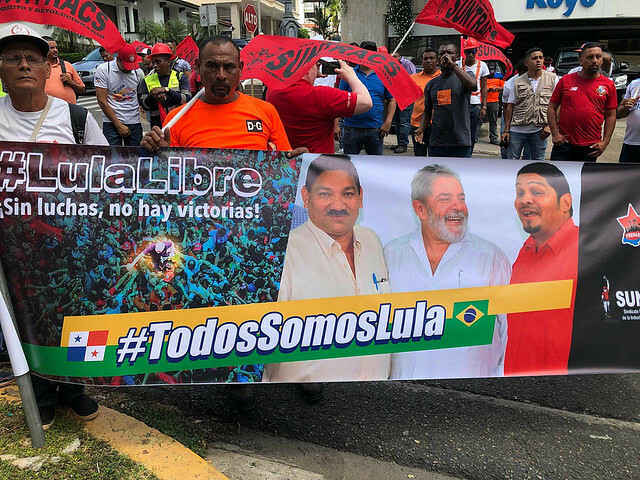 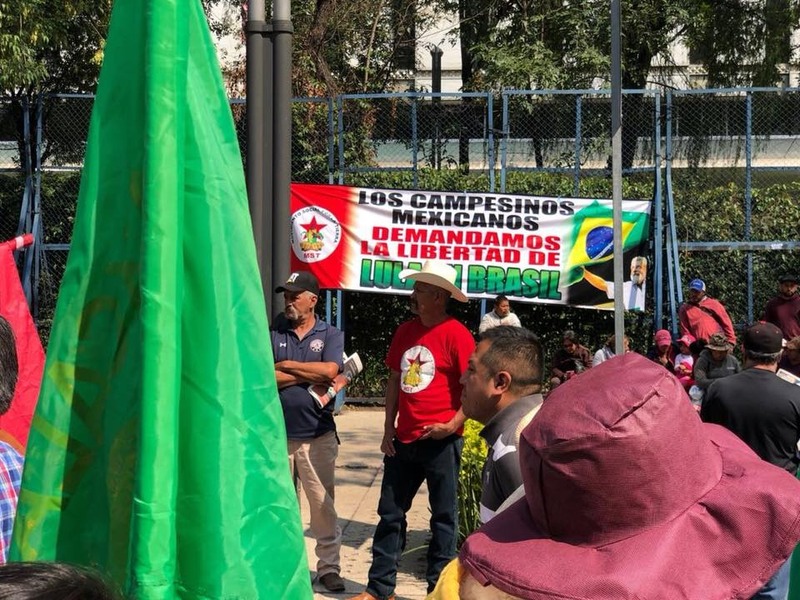 Since Lula's arrest was announced, demonstrations have also taken place in Mexico City (Mexico), Paris (France), Amsterdam, Barcelona, Rosario (Argentina), Lisbon, and Rome (Italy). 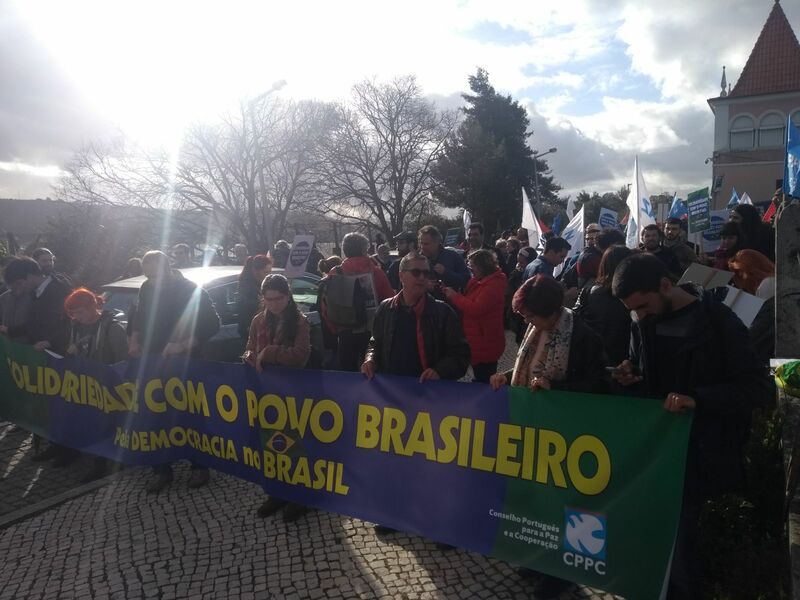 More cities are expected to have protests this week against the arbitrary decisions and irregularities committed in Brazil: Berlin (Germany) and Bilbao (Basque Country, Spain) today (12); Porto (Portugal) and Montpellier (France) tomorrow (13); and Ottawa (Canada) and Frankfurt (Germany) on Saturday (14). 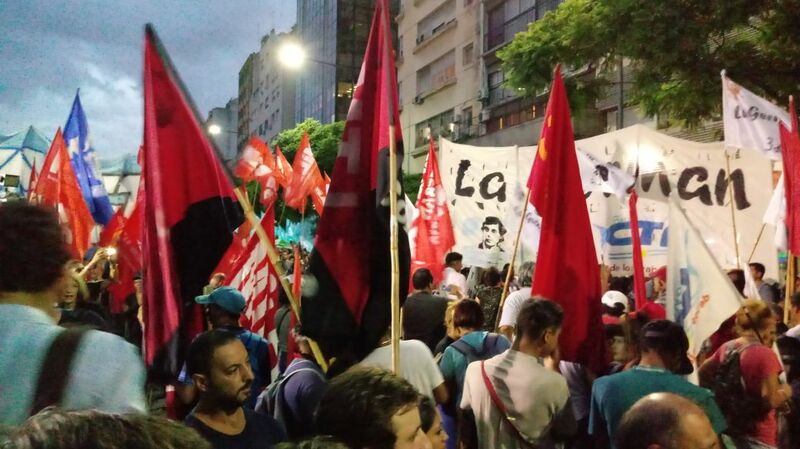 See below the latest photos and information about the protests around the world.